We started our drive to Pahrump, NV to boondock and in hopes to see some wild horses. 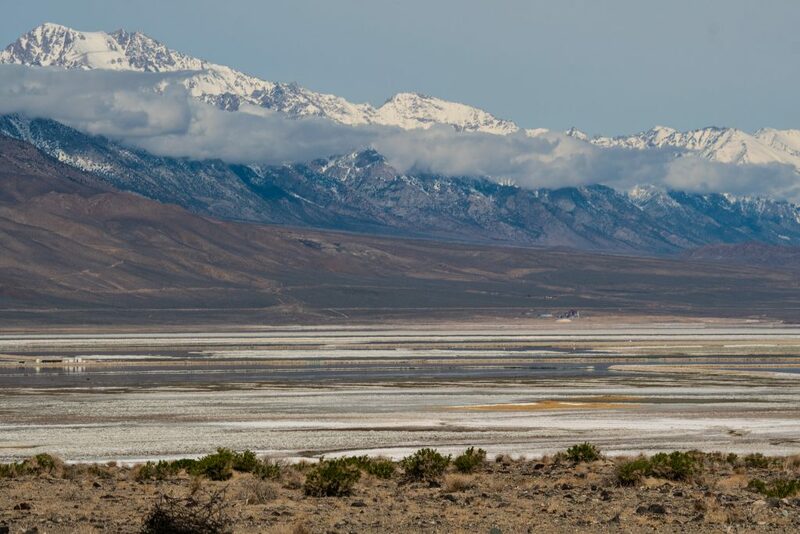 Along the way we drove through Death Valley National Park, and I stopped for some nice landscape photos along a salt basin. When I was just about finished, a fighter jet zoomed by in the distance, followed by a second. I tracked them and took a shot or two, but they were too far off. Continuing on into DVNP, we approached Rainbow Canyon. Having seen it before, we stopped to hike up the steep knob at the head of the canyon. When we reached the top, we found about a half-dozen photographers with long lenses. I asked what they were shooting and they told me, fighter jets. I laughed and said I’d just seen two over the salt flats and they said that those two had just come down through the canyon, explaining that they did practice runs front the head of the canyon and down through it into Death Valley. Cool! Alan and I drove to the parking lot just a little further on, and set up to see what kind of pictures we could get. 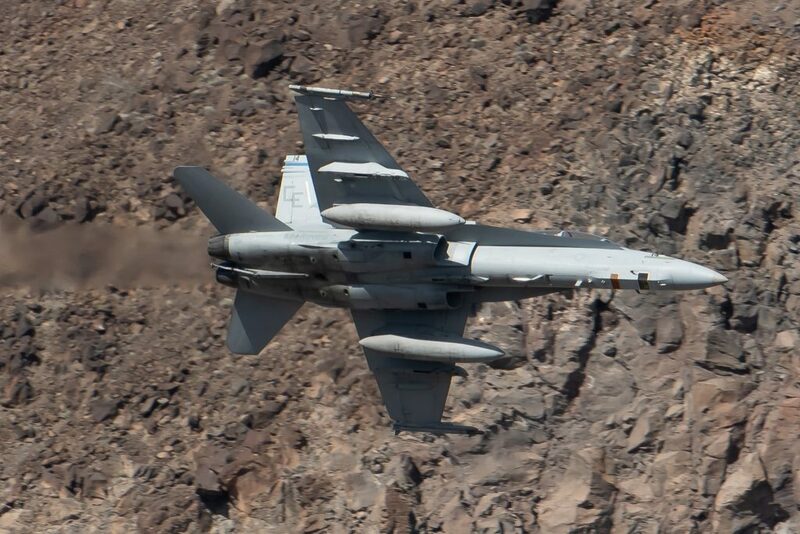 After a while one of the jets, I think it was an F-18, roared down through the canyon. The sound beat through my chest, it was so loud. 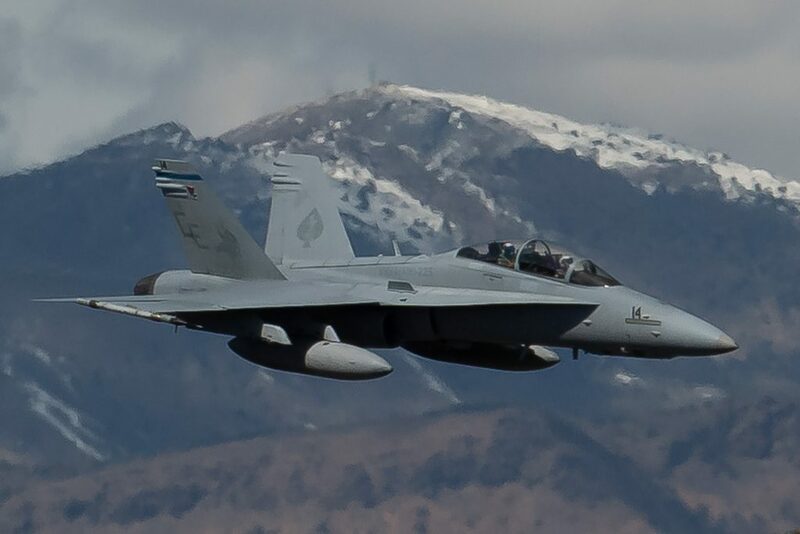 In a little while, a second jet blew through, but not quite as loud – or maybe I got used to it. Haha. 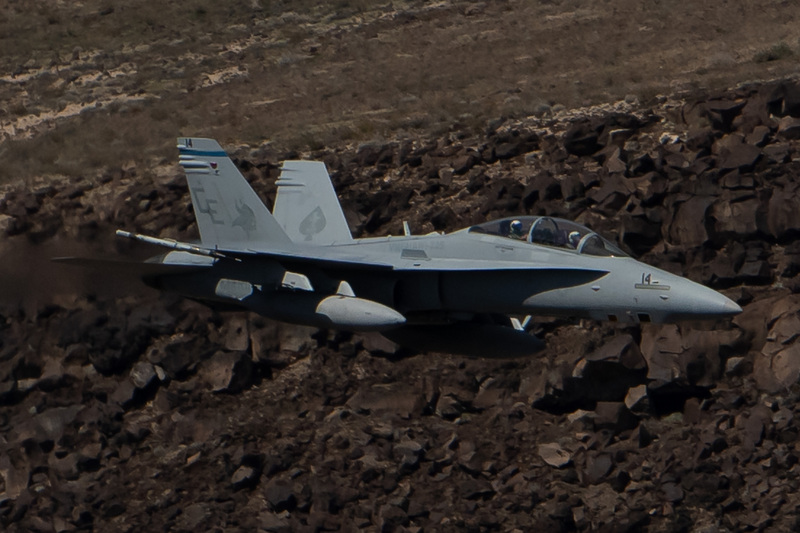 We listed to some of the chatter going on around us, and learned that the pilots referred to the canyon as the Star Wars game, and that they jets were F-18s and F-15s. We hung out for another couple of hours (it was lunchtime, maybe the pilots stopped for a bite to eat), and were rewarded when not one or two, but three jets flew by. Unfortunately for Alan, he was busy making our lunch when the first two came through. I had my sandwich in my hand, and dropped the paper plate when they started their approach. It was fun tracking them with the camera and grabbing a couple of cool shots. We pulled up stakes and packed our gear back up then headed down into the valley to the west of Death Valley. We’d heard that there had been rain and flooding a day or two before we drove through, and it had caused the roads to be closed the previous day. We counted ourselves lucky to be able to traverse the valleys on this day. 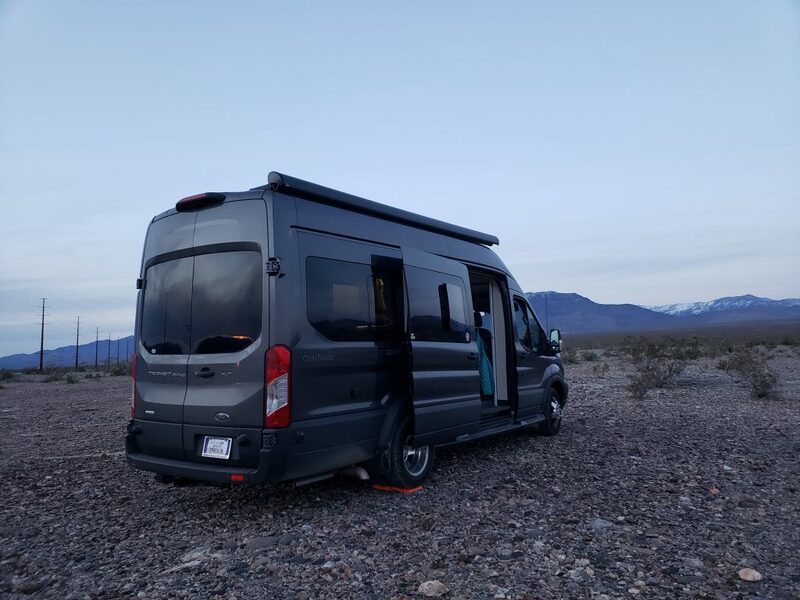 Arriving in Pahrump, we stopped for some groceries, then drove out to where we’d learned we could boondock on BLM land – at no charge. 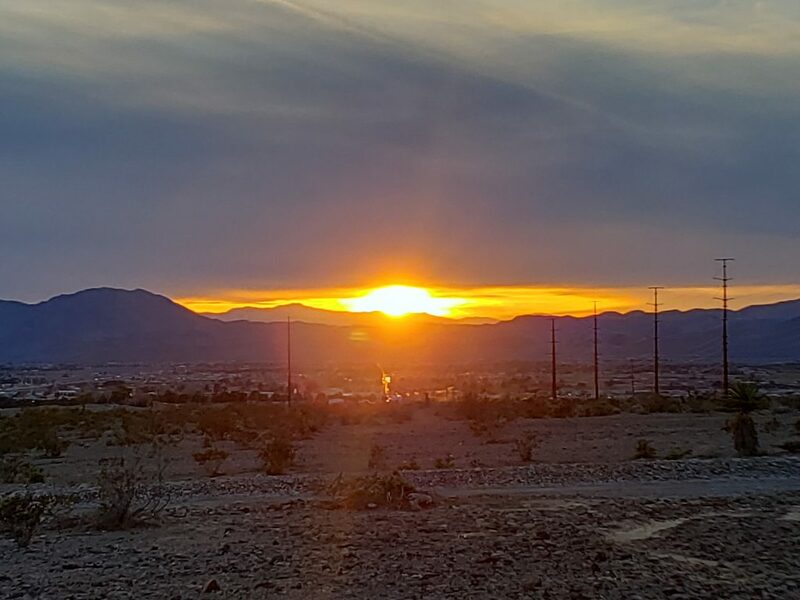 The land was rough desert, but it was beautiful. 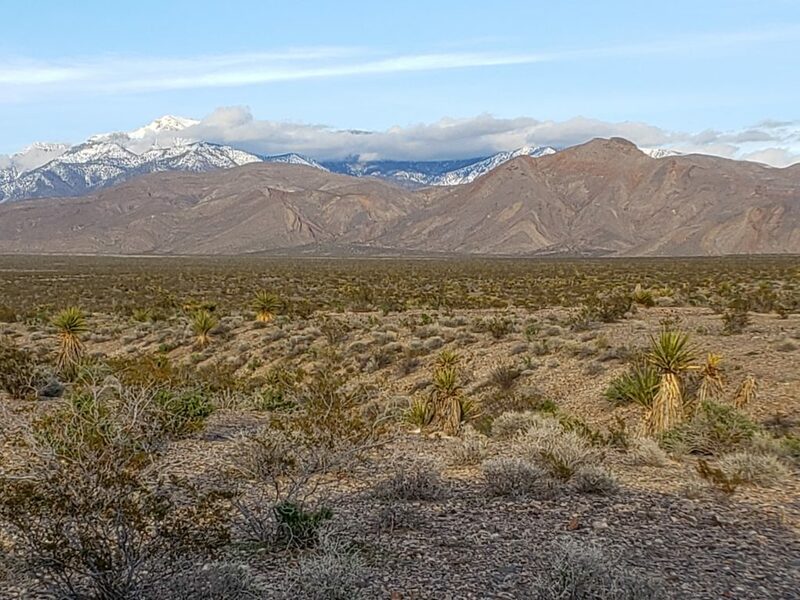 There were snow-capped mountains to the east of us, and Death Valley’s mountains to the west of us. 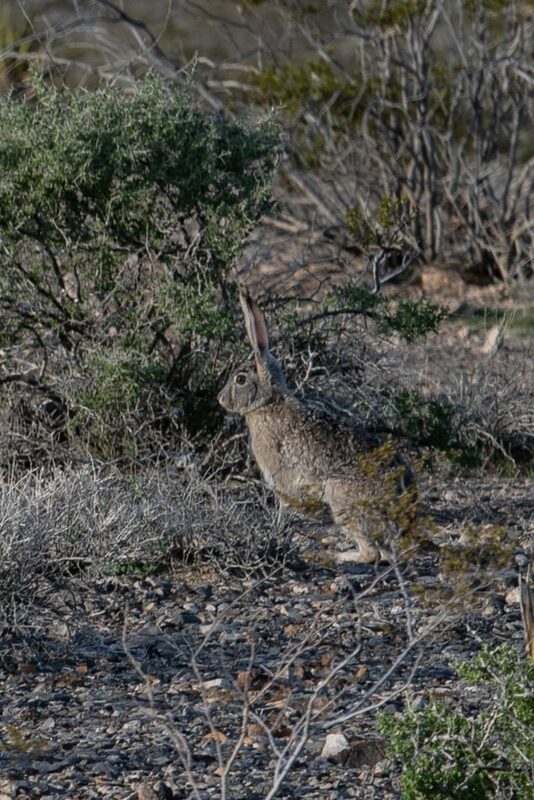 We walked around the area, with almost no neighbors to speak of, and started up a Desert Hare (jackrabbit), and found evidence of horses, but none of the beasts to be seen. Sunset was stunning, the area was dead quiet, and we slept like babies.